Socialite Bryan White (in white) at a past Comedy Stores show. Comedian Alex Muhangi a few years ago started his weekly show called Comedy Store and it has since then grown to one of the biggest comedy nights in Kampala. The show moved from The 400 bar in Bukoto before he moved to UMA hall in Lugogo which has seen him register big numbers as opposed to the previous venue. After several shows at UMA grounds, the comedian has decided to take the show upcountry and this weekend, they will be in Mbarara and Masaka on Saturday and Sunday respectively. Muhangi says that he felt like people upcountry are being cheated when it comes to Comedy Store. 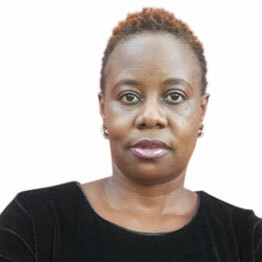 “People upcountry don’t feel the same vibe when they just watch only 20 minutes on TV or when they get clips online,” Muhangi said. He went on to add that he wants them to have a feel of Comedy Store besides just watching clips online and it is the reason he decided to start with Mbarara and Masaka this weekend. 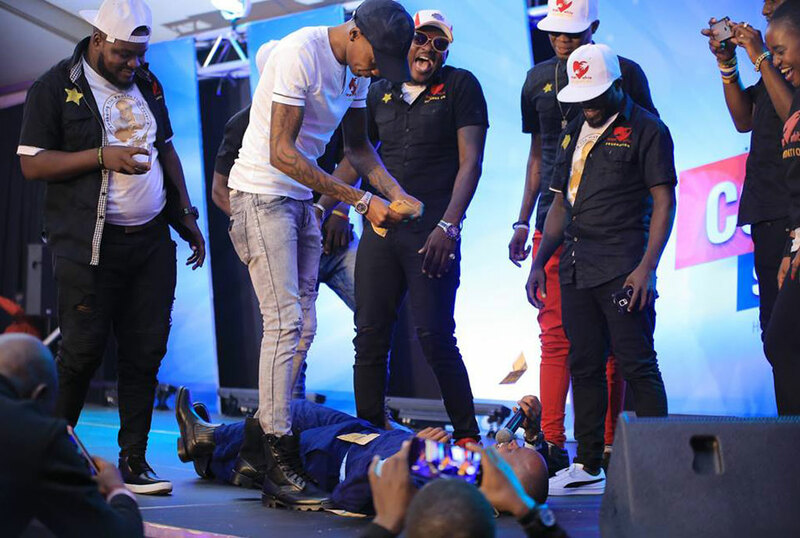 Kenyan comedian Eric Omondi, Ugandan singers Rema Namakula and Weasel will headline the performing acts this weekend in the two upcountry towns. The show at Mbarara will take place at Hotel triangle and Masaka comedy store will be at Rugby Grounds. Besides the headlining acts, other comedians will include MC Mariachi, MC Kapale, Madrat and Chiko, Kelekele, Kalela, Dr T-amale, Jajja Bruce and Kabaata, Mighty Family, Crazy University, Maulana & Reign, Snake & Zolo and Bobby Brown & Nilo Nilo. The same lineup will be at both venues. After Mbarara and Masaka, comedy store will embark on another journey to Jinja and Mbale towns and later Lira, Gulu and Arua.